Established in the year 1996, we, “Ascent Machineries & Engg. Services”, are acknowledged for manufacturing, exporting, supplying and service a significant range of Industrial Towers, Boilers, Vessels And Storage Tanks. Developed with supreme quality basic material and advanced technology, this presented gamut is at par with the stringent industry laid parameters. To live up to the expectations of clients, we precisely design all our products keeping in mind clients’ requirements and prevailing market trends. Scrutinized on several parameters, all our products are featured with longer service life, efficiency, resistance against corrosion and sturdy construction. This range is able to meet diversified requirements of chemical, pharmaceutical, dairy, textile, food & beverages, brewing, dyeing & printing and hospitality industries. Under the proficient guidance of our proprietor, ‘Mr. Deepak Bhatt', we have been able to maintain swift rate of growth in this discipline. Furthermore, his excellent managerial acumen and commendable knowledge are the factors that inspire us explore all new avenues across the globe. We hold a sound and sprawling infrastructure setup at (Tarapur, Vasai, Kashimira Maharashtra, India). 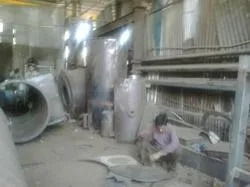 With a view to accomplish entire production process within determined time-frame, we have segregated our setup in different divisions such as manufacturing unit, quality testing laboratory, warehouse and R&D unit. 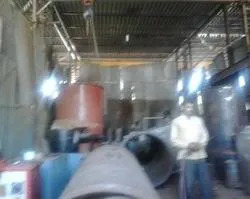 The manufacturing unit is fitted with technically upgraded machinery and amenities, which enable us to carry uninterrupted rate of production with efficiency. Furthermore, the warehouse unit enables us to keep products in bulk, thereby meeting immediate demands of the clients. Backed by 20,000 sq. ft. open space for fabrication and 10,000 sq. 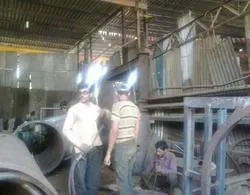 ft. machining shop & fabrication facility at Tarapur, we are able to accomplish bulk demands of the clients. We hold all the aces in manufacturing and supplying commendable Industrial Towers, Boilers, Vessels And Storage Tanks. Designed to excellence, this range is at par with the defined parameters of the industry, signifying its high standards. Our range is widely acknowledged for their attributes such as longer serviceability, efficiency and impeccable quality. We are a client-centric organization and being so, we endeavor to execute entire business related activities in interests of the clients. 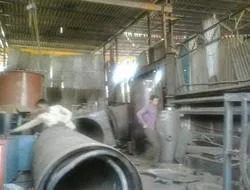 To meet clients' requirement in an effective manner, we offer precisely developed range of Industrial Towers, Boilers, Vessels And Storage Tanks. Conforming to the established parameters of the industry, this exhaustively used in industries like chemical, pharmaceutical, dairy, textile and many other industries.